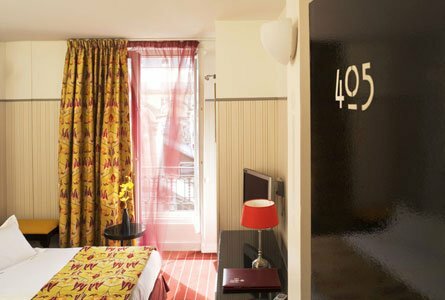 "Independently run little property of low-key elegance near the Eifeel Tower"
Just three minutes walk from the Eiffel Tower and the Trocadero, a few steps from the Japanese Maison de la Culture, the 3-star Hotel Eiffel Seine enjoys a superb location in the west of Paris, on the banks of the Seine, opposite the Colline de Passy, a few minutes from the Primal Arts Museum, Orsay Museum, Les Invalides, the Arc de Triomphe and the Champs-Elysées. 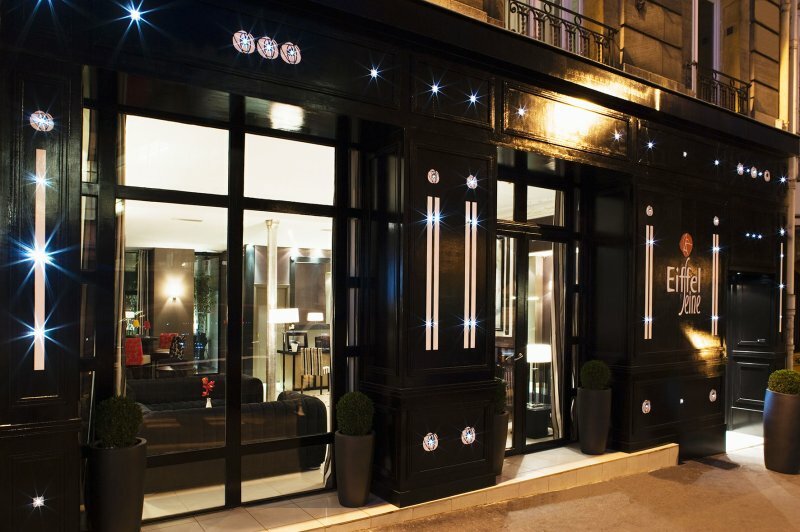 This hotel, with its newly restored ashlar facade, lies opposite the "CAP 15" conference centre, the Bir Hakeim Metro station and the RER station "E". 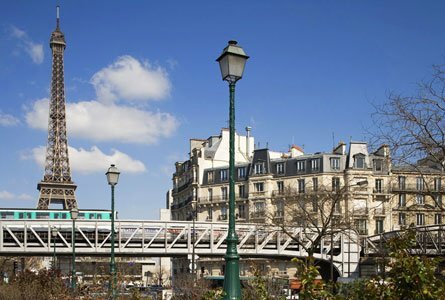 It is also possible to take advantage of the large free car parking on the banks of the Seine. 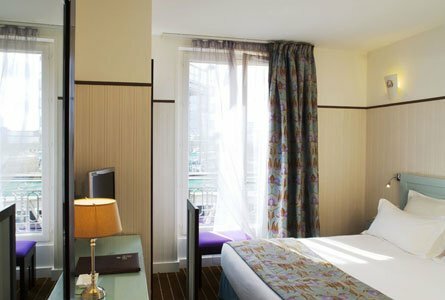 The independently managed Eiffel Seine Hotel has opted for a theme unique in Paris and in France in the purest form of Art Nouveau style. 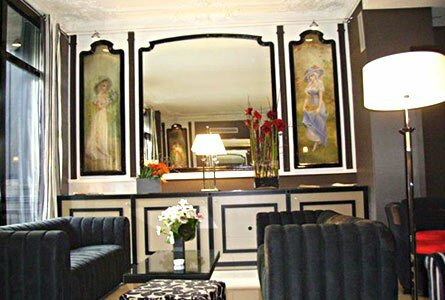 Art Nouveau is an architectural and artistic movement of Austrian influence, dating back to the 1920s, which emerged immediately after the construction of the Eiffel Tower and which was a precursor to the Art Deco movement in the 1930s. 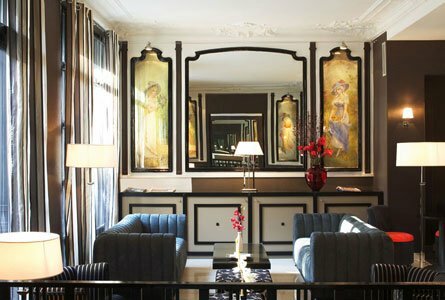 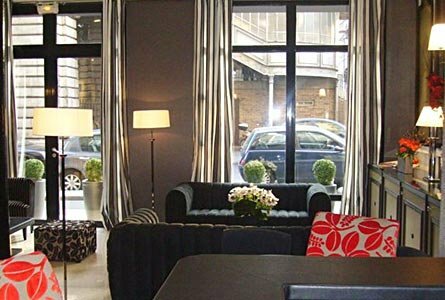 Its most famous artist was Gustav Klimt, whose paintings light up the rooms and the corridors of the Hotel Eiffel Seine. 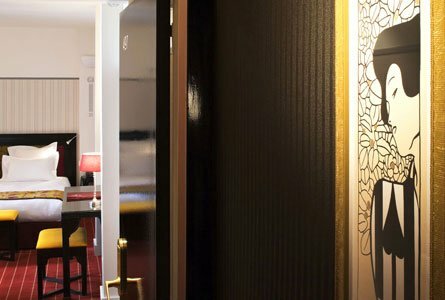 This pure, stylised, geometric, elegant and, also, comfortable decoration is visible in all the public and private areas of the Hotel Eiffel Seine. 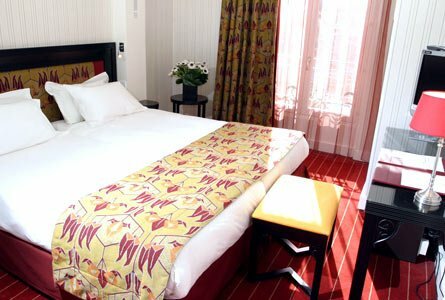 With its combination of sophisticated materials, fabrics and paintings, with the forms and patterns of the period, the Hotel Eiffel Seine is a place where it is possible to take full advantage of an atmosphere, so representative of Paris at the beginning of the 20th century. 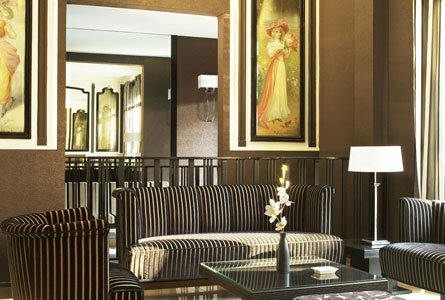 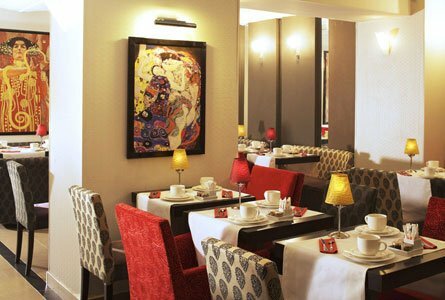 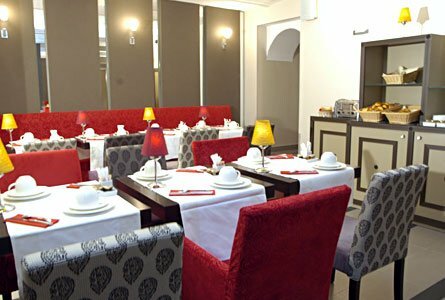 Enjoy the large reception room and cosy bar, with leather armchairs, red carpets, black and white marble floors and the listed wall paintings of "The Four Seasons" dating from the period, which offer a superb view of the interior floral garden (created at the end of 2005).